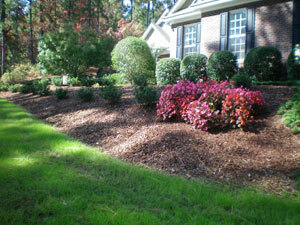 McCrimmon Landscaping & Grading offers grading-excavation services in Southern Pines - Pinehurst NC. Let us prepare your commercial or residential lots for construction. Do you have property that needs to be prepared for construction? Do you need heavy equipment to prepare for your driveway? A house that needs demolition? At McCrimmon Landscaping & Grading, we have the ability & necessary heavy equipment to prepare commercial & residential lots for construction. Retention Ponds at Commercial Building sites and Driveways can be produced by the use of our Backhoe, Track Hoe, Bulldozer, Skid Steer and Tractor.